Everyone, chef or not, is capable of bumbling the simplest of cooking tasks. I can personally attest to screwing the pooch many times due to distraction, being too lazy to read the instructions or just plain carelessness. There is nothing more frustrating that spending effort and money on something that could have gone in my belly, and instead, ended up in the trash (or “tin” for the British folks). To be a good or even a great cook, all it takes is mastering a few basic methods. 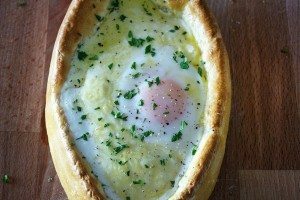 So basic, that a recipe isn’t even needed. Let’s take brown butter for instance. Brown butter, or buerre noisette, is an incredibly versatile ingredient for both sweet and savory preparations. It provides amazing richness and nutty flavor, and only takes 5 minutes to prepare. Yet, so often it gets effed up resulting in black butter, rather than brown. If I liked black food, I’d actually eat the toast I burn. In the shadow of last week’s brown butter hot fudge recipe, here is a step-by-step photo tutorial on how to make the perfect brown butter, every time. Because the devil is truly in the details. Butter in its solid form is made of of 3 parts: water, milk solids and butterfat. 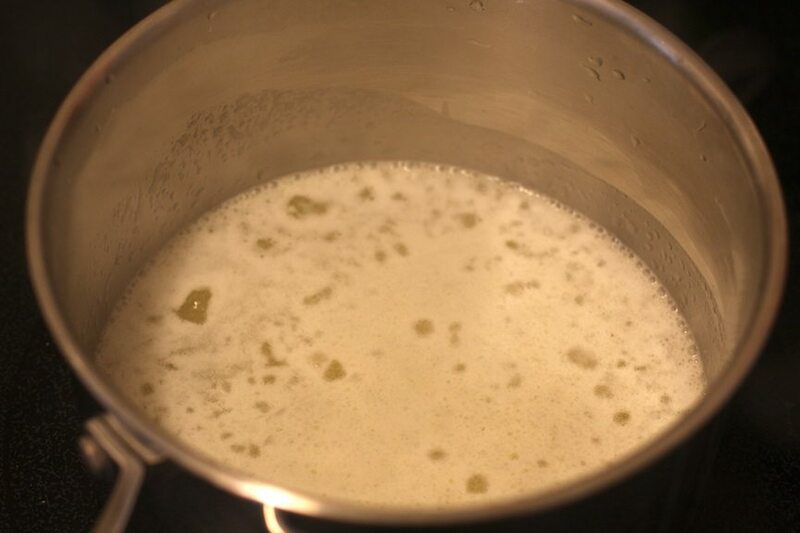 When butter melts, the water evaporates, and the milk solids and butterfat separate due to their difference in density. 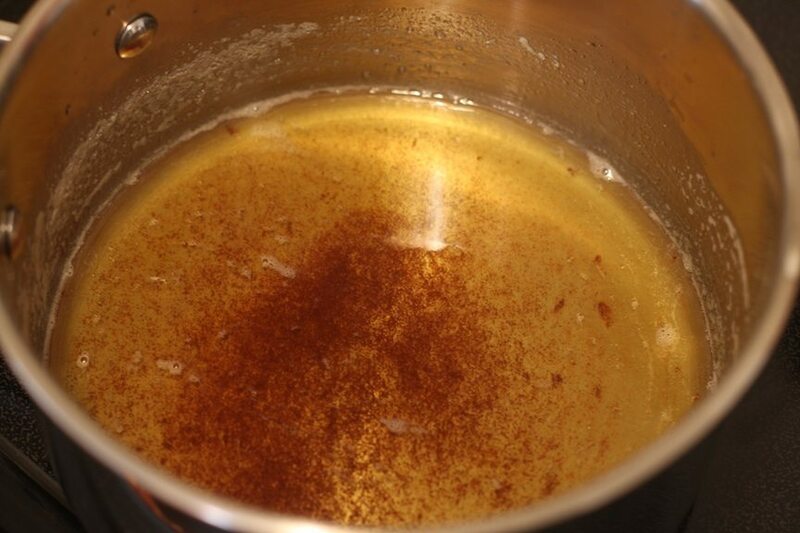 The key to making perfect brown butter is stirring continuously. This ensures that the butter melts and browns evenly. Keyword is EVENLY. 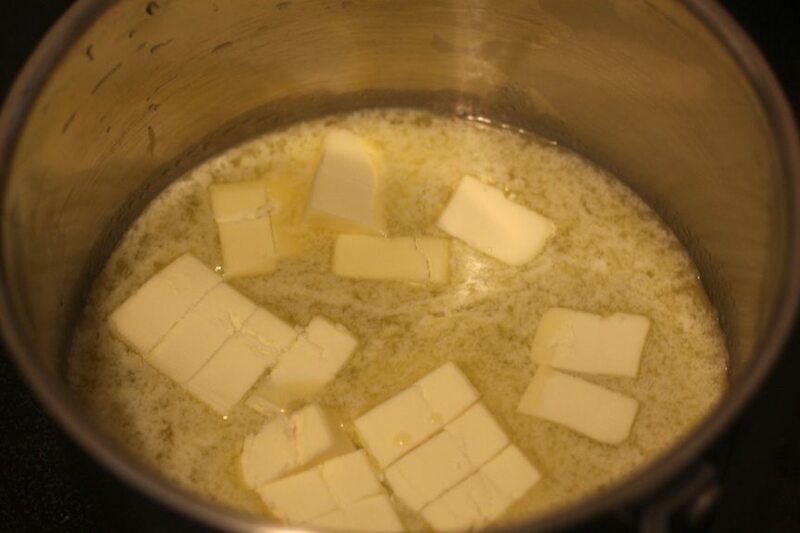 First, cut cold unsalted butter into cubes. Cutting the butter into small pieces will help the better melt faster and more evenly. 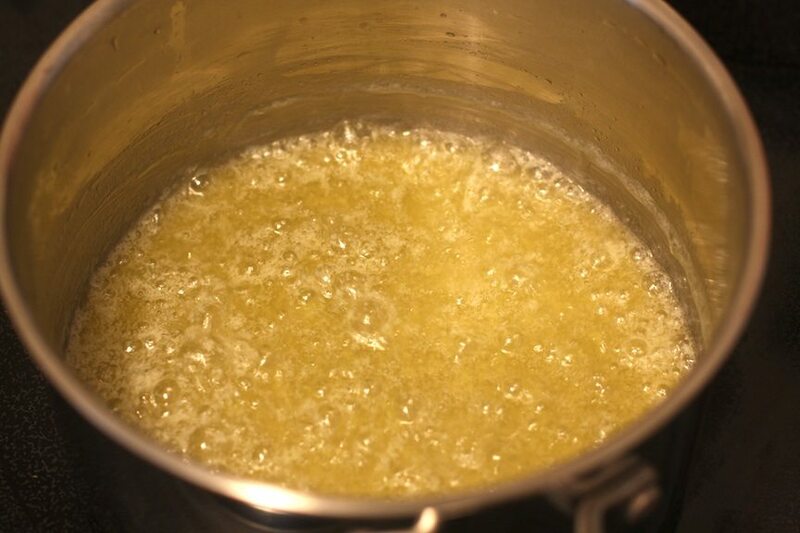 Melt the butter over medium-low heat in a pan with high sides. 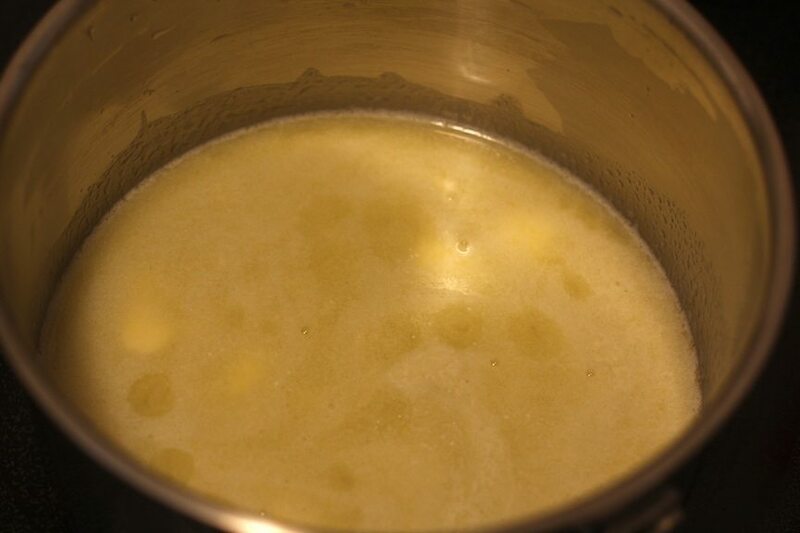 Stir the butter so that it melts evenly. 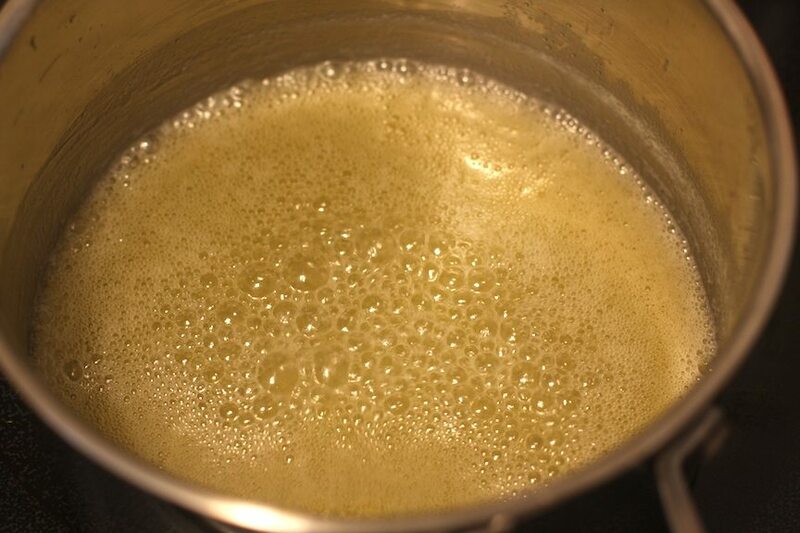 Once melted, the butter will start to bubble. The milk solids will float to the top creating a white foam. The butter will begin to boil. 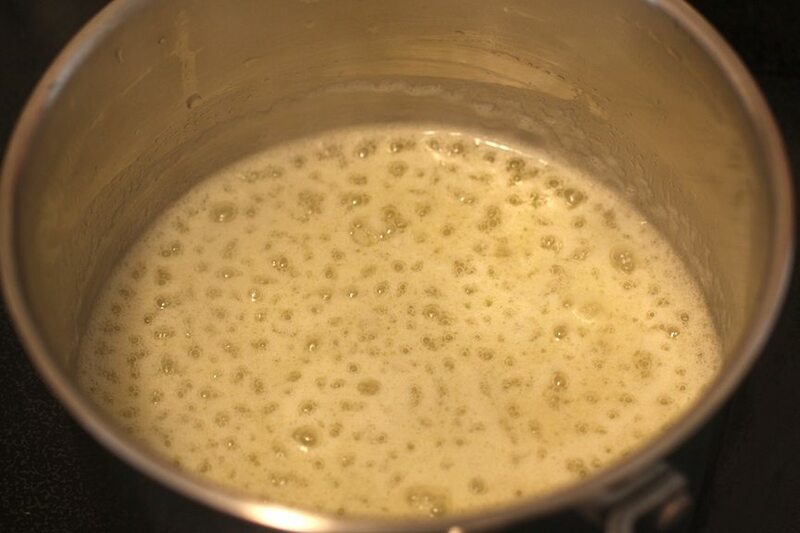 At this stage, some of the milk solids will begin to sink to the bottom of the pan. Continue stirring gently. Most of the milk solids have now sunk to the bottom of the pan. These milk solids will now begin to brown. 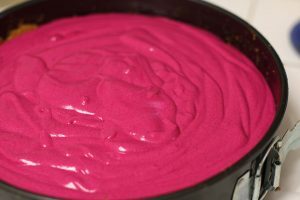 Continue to stir so that the milk solids brown evenly and do not stick to the bottom of the pan. 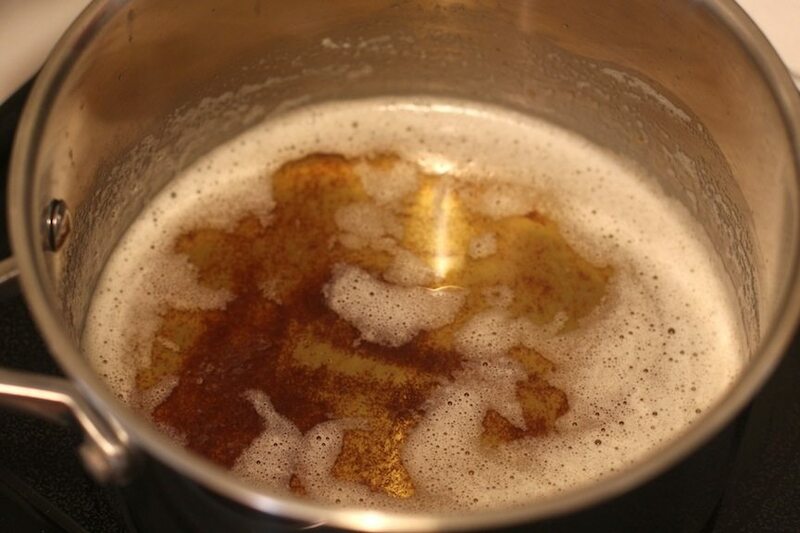 The boiling will begin to slow once the brown butter is almost done. Once you see brown (NOT BLACK) bits at the bottom of the pan, the brown butter is done. The white foam consists of the remaining milk solids. Skim that foam off using a spoon and discard. You now have beautiful, nutty brown butter. 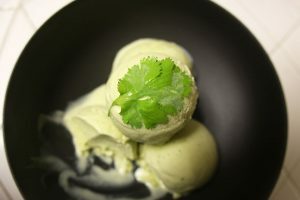 What basic cooking methods would you like to see demystified?